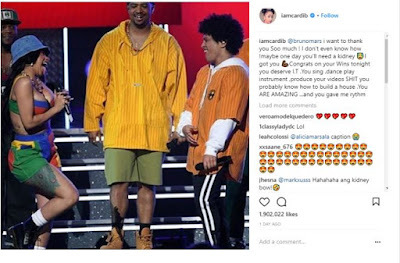 American singer, Cardi B has taken to social media to pen down a a public “thank you message” to Bruno Mars after a Grammy performance. 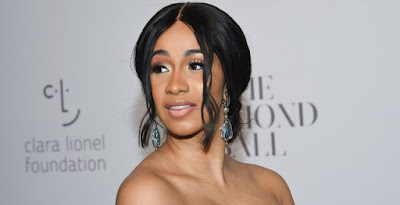 The rapper who was nominated for Two Grammys thanked Bruno Mars for his supports to her and also revealed that if he ever need a kidney, she is readily available to help him. Recall, the 60th-edition of the annual Grammy Awards held on 28th of January 2018, and the night saw Bruno Mars and Kendrick Lamar leave as the night’s biggest winners.